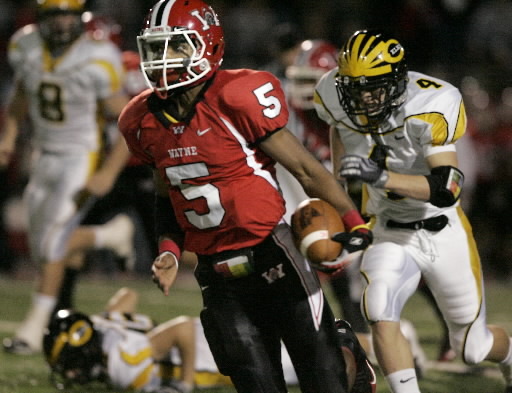 The Ohio High School Athletic Association is considering adding a seventh division for football for 2013. If the change goes through, this would be the first change to the divisions since 1994, when the OHSAA added a sixth division. If that’s not enough, the OHSAA is also voting on the Competitive Balance Proposal in May. This issue was narrowly squatted away, by about 29 votes. If passed, the numbers would be shifted even more. The posters on the Yappi boards are a bit mixed on this issue, with some saying seven divisions are way too many. One post suggests that six divisions are fine, but the schools will need reshuffled. Other sports would not be affected by the seven divisions in other sports. To me, I’m not a big fan of seven divisions in football. If they were fairly equal in terms of teams in those divisions, it wouldn’t be so bad. I’m also not the biggest fan of having different amounts of divisions for different sports. Granted, there’s a few high schools around here that don’t play under those Friday Night Lights, but it’s a small number of schools. Then again, different sports require different amounts of players, so never mind on that last thought. Time will tell how teams will be split and how the competitiveness will flow. Don’t be surprised to see seven divisions after the 2012 season. Sources of information from the Dayton Daily News, Yappi’s boards, and the Canton Rep. Pictures found via Google. By theleewmowen in High School Sports on April 14, 2012 .